If you live in a county along the Mississippi River, or even if you like to visit the waterway to enjoy its beauty, there’s good news. The Mississippi River has been designated as a Critical Conservation Area by the United States Department of Agriculture. Here is why this is important to the citizens, farmers, businesses and conservationists who are working in states all along the river to improve its water quality. The 2014 Farm Bill created the Regional Conservation Partnership Program (RCPP) to encourage federal, state and private partners to work together on conservation projects. Federal money for conservation projects is limited, so the USDA could only designate eight Critical Conservation Areas to receive targeted funding to improve the health of the soil, wildlife and water in the area. It’s a big deal for the Mississippi River to get this designation. It is a critical source of drinking water for 18 million people, a diverse habitat for wildlife, the backbone of our economy, and a rich part of our heritage. Home to more than 325 species of birds, the Mississippi River Flyway is globally significant. But this important River is in trouble. Pollution and loss of habitat have caused our once mighty Mississippi to decline. For those of us in at the northern tip of the river, Wisconsin and Minnesota’s agricultural sector must do more to curb the runoff of phosphorus and other pollutants that contribute to problems downstream, such as the growing dead zone in the Gulf of Mexico. The inclusion of the Mississippi River in the RCPP was applauded by the National Sustainable Agriculture Coalition. Under the consolidated programs of the new Farm Bill, it is essential we build on the success of existing conservation efforts and utilize the established local and private organizations already in place to leverage the federal funds through this newly created partnership program. 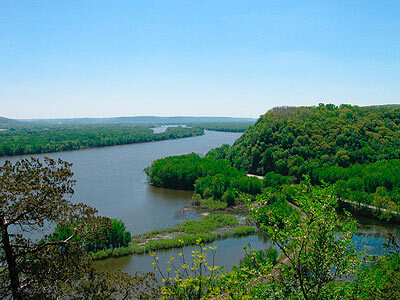 Now that the Mississippi River has been designated as a Critical Conservation Area, we can invest in efforts to conserve soil and water, protect the water source for more than 18 million people, provide recreational opportunities, restore fish and wildlife habitat and help to address some of the biggest problems facing the Mississippi River today. Regional Conservation Partnership Programs will help improve the health of the Mississippi River and all living things that depend on it. And according to the Mississippi River Network, there is evidence that the restoration projects will also provide economic benefits to River towns. We thank the Mississippi River Network and the 1 Mississippi project for lifting the voices of River Citizens and advocating for this important conservation designation. We need more River Citizens across the Mississippi River basin to speak up for the health of this cherished resource. Become a River Citizen today and learn more about 1 Mississippi and others working to protect the river from Minnesota to the Gulf.